The inaugural Buffalo Paddle Festival is aimed at bringing awareness to the growing recreational opportunities, promote environmental awareness and stewardship of Buffalo’s waterfront. Proceeds from the event will benefit WNY Adaptive Water Sports a 501 (c)(3) local chapter of Disabled Sports USA organized to promote and advocate water recreation for the disabled. Go to Registration to reserve your spot today. 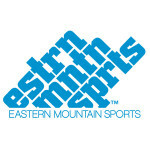 Sign up day of the event. Kayak, Canoe, and Stand Up Paddle Board Demos: Spectators and participants will have the opportunity to test out Stand Up Paddle Boards, Kayaks, and Canoes from local dealers. Free Youth Environmental Education Programs: Various fun and engaging youth environmental programs offered by the Alliance for the Great Lakes and South Buffalo Lighthouse Limnology Center. 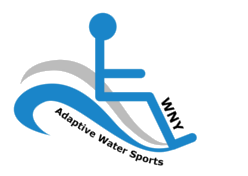 Free Adaptive Water Sport Clinics: Demonstrations of adaptive paddling clinics for the physically challenged by WNY Adaptive Water Sports and Cape Ability Outrigger Ohana – Chapters of Disabled Sports USA.